For those who are looking to start an income-generating website, one of the first dilemmas you’re faced with is how to pick niche website ideas. In today’s post, I’m going to walk through an example of how to select a great niche for your website. 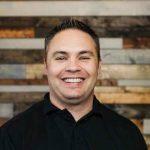 For this post, I’m assuming that your goal is to create a site that brings in some passive income with a minimal amount of upkeep and maintenance. 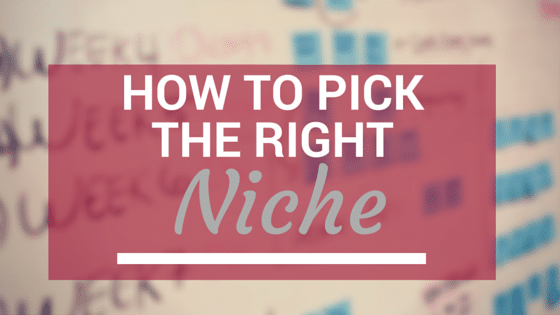 Choosing the right niche is a common concern we hear, and no doubt there are many different opinions about what makes for “good niche ideas”. Having several high traffic websites in my personal portfolio, including one that’s really starting to take off in 2015, I’m simply going to share the approach that has worked for me when coming up with good niche website ideas. Hopefully it helps bring clarity for those who are still in the ‘niche selection’ phase. If you’re having a ton of trouble coming up with niche site ideas, check out our guide on finding profitable website ideas. One of the common questions is whether you should look for something that you’re knowledgeable and/or passionate about, or a topic that seems to have the best path to earning income. A case can be made for both, but I will say that you should have a rough idea of how you’ll monetize a site before you ever start it. 2 of the simplest and most common ways to monetize a niche authority site are Google Adsense and affiliate income, such as Amazon Associates. One of the reasons these are so common is that they are simple to set up, and they can work in almost any niche. If you’ve not read it, we highlighted a couple of different sites that are doing very well as Amazon affiliates in a recent blog post. Since Amazon sells just about everything, you can find products to promote that make sense for your topic. Similarly, Google’s pay-per-click Adsense ads will generally work even if your site is on a “boring” topic without many products to sell. The fact that popular monetization methods like Amazon affiliates and Google Adsense are so flexible means that you have greater freedom when picking niche ideas. If playing the tuba is your thing and that’s going to be the focus of your site, Amazon sells Tubas and Google will take care of delivering ads that are relevant to your visitors – whether they have to do with tubas or not. You just have to deliver the traffic. 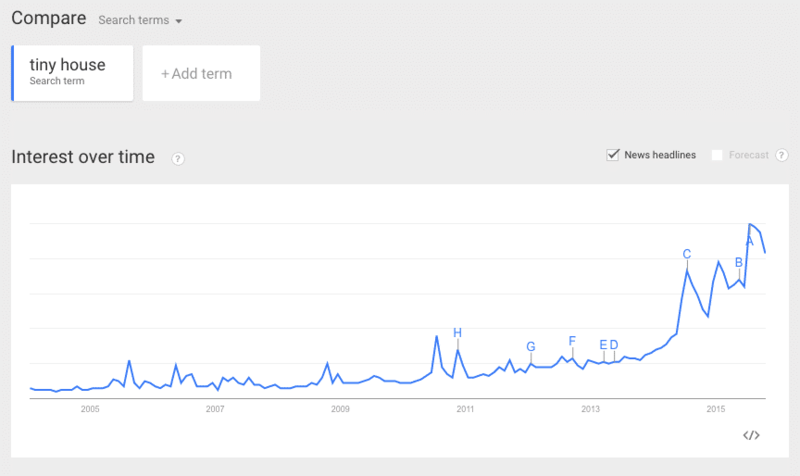 Check Google Trends or just scour various media outlets to see what is becoming more popular. How Do I Know If I Can Get Traffic? For me, it might be the most important question when deciding if I’m going to go into a niche. Can I get traffic to the site? I always say that making money is the easy part. Getting a ton of traffic (preferably free, search engine traffic) is the hard part. I also like to keep things simple and budget-friendly when I’m starting out with new website niche ideas – which is why I’m a big fan of long tail keywords. Basically, I’m looking for those low competition keywords in my niche that I can create content for and then start pulling in free Google traffic by ranking well for those search terms. On a recent webinar I was asked how many keywords are needed to build a site around. 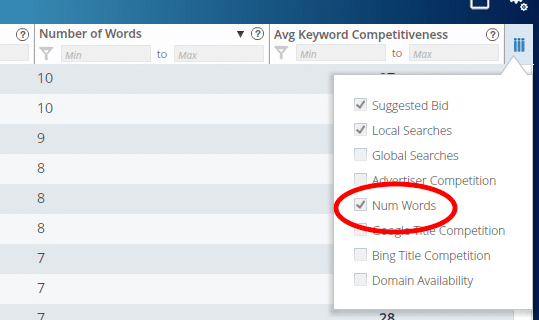 It’s virtually impossible to give a one-size-fits-all answer to this, but when I’m creating a niche/authority site I like to be able to find 20 – 30 low competition keywords without breaking a sweat. Perhaps you’ve heard the term micro-niche site, which refers to a website that is focused on a very small, specific niche. Some argue that these really small targeted sites are completely dead, and I certainly would suggest that you think about your niche a little more broadly. 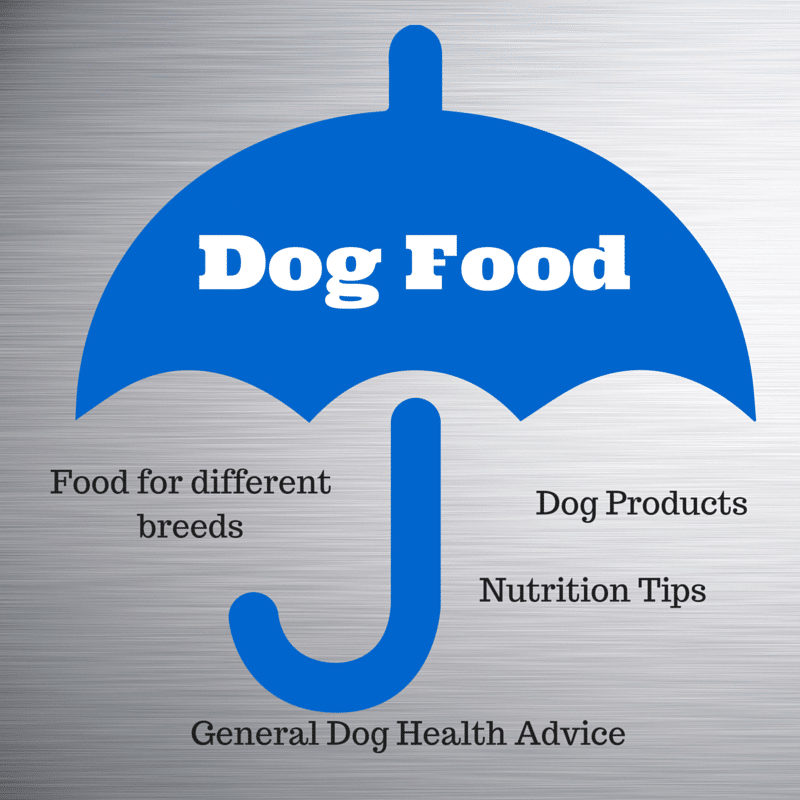 The problem is, if you create a site at www.bestdogfoodforpoodles.net that is about “best dog food for poodles” and you’re having trouble getting any traffic from the poodle food community… you’ve got some real issues. Your site’s niche isn’t broad enough to pivot your focus and talk about much else. Instead, if you really do love poodles and want to share advice on how to feed them, I’d suggest taking a step back. A good niche idea here would be making your site about something more general like “dog food” or even a site about raising healthy dogs. Either way, you can still write your post about “The Best Dog Food For Poodles,” but you’ll also be able to expand into things like tips for keeping your dog healthy, basic nutrition, other recommended products for various dogs, exercise routines for dogs, and on and on. Another way to think about niche website ideas is to start broad, and then (maybe) finish narrow. In the poodle food illustration, I would start more broadly and create my site about dog food – a less specific version of that niche. However, a few months down the road you may discover a more narrow sub-niche inside of “dog food” that really seems to be providing most of your traffic and interaction with your audience. For instance, maybe you’ve been reviewing different dog bowls and are making a bunch of affiliate sales by sending people to Amazon to buy the bowls you recommend. Now you can focus more time on creating dog bowl reviews and lists of dog bowls that are best for different living situations, breeds, etc. since that traffic has been more profitable to you than the other topics you’d been blogging about. Having the ability to start broad and go narrow later on is yet another reason it makes sense to have an “umbrella” that is big enough to begin with. Now I’m going to take the principles outlined above and put them into practice. Hopefully by doing that, you’ll see that this formula can work for you and you can confidently go forward with building a website of your own. One show that I keep seeing advertised is Tiny House Hunters. The idea is that people want to downsize in a drastic way, and might move from a house that has 2,000 square feet to one that has 200 square feet. This is clearly a trending topic, but given the fact that it’s now the focus of popular TV series’ my guess is that it could be a fairly long term trend. Now the question becomes, can I get traffic to a site on this topic? On the content side of things, I already know that “tiny houses” is a broad enough topic to build a site around. After all, tiny houses are just like their bigger counterparts in that they have bathrooms, lighting, plumbing, interior design, furniture, and all these different sub-topics that could fall under that umbrella. As a bonus, I’d probably be able to pump out some very shareable content like “9 Tiny Houses That Will Make You Want To Move” with a list of cool houses I’d pull together from around the web. With a newer site, I love mixing in shareable lists so I can reach out to other bloggers and sites in that niche and hopefully get them to share my content with their (bigger) audience. For me, finding 20+ low competition keywords that I can write blog posts about and expect to rank for is really important. This means I can get traffic from Google without doing paid advertising, and it typically means that as the site grows I can continue to add content and build up to a larger authority site if I’d like to. Ready to start finding keywords? Click Here to take a 10 day free trial of our keyword research tool, Long Tail Pro. Let me show you exactly how I found this list of keywords in about 15 minutes. I used one of my favorite combinations of Long Tail Platinum and Ubersuggest. Then I pasted those suggestions into the import box of Long Tail Platinum. I let the software do it’s thing, and then I added in “number of words” as a column so I could sort to see the ideas with the most words first. From there, I simply clicked on “calculate” for the keyword competitiveness score on any keywords that I thought would be interesting and fit under my “tiny house” umbrella. Although I didn’t need to this time, I would normally repeat those steps over and over again until I had a list of keywords I felt strongly about. The nice thing about these keywords is that I should be able to create some “listicle” style posts where I give lists of ideas and explain them with some level of detail. This approach is beneficial because I can create quality posts that will rank in Google, but in many cases are easy to share with others in the tiny house community and hopefully get some free promotion to speed up my growth. For example, I might create “5 Tips For Surviving in a Tiny House with Cats” and then spend some time emailing tiny house bloggers and even people who blog about cats to let them know about my post. As you can see from the competition analysis, I could probably get to page 1 just by doing proper on-page SEO and creating great content. However, a relevant backlink or two certainly wouldn’t hurt. Another thing I like to see in my competition analysis is that other niche sites are ranking for these terms. In the screenshot above, 3 of the first 4 results are sites about small houses that aren’t “big brands” which is a good sign for my own site about tiny houses. While this post isn’t really about all the different ways you can monetize your site, I thought it might help to share what my initial thoughts are on how I’d try to make money from my new tiny house site, assuming that my goal was to generate some side income that is as passive as possible. At first, I wouldn’t try at all. I’d put all my time into developing attractive, thorough content for the keyword ideas I’ve found. I’d also start doing the email outreach I mentioned to hopefully make some connections and spread the word about my site to others who are most likely to care. Remember that getting traffic is the hard part. Once I start to pick up some organic traffic, I’d install the Quick Adsense plug-in for WordPress and put some larger Google Adsense units inside of my content, to begin monetizing traffic. Then, I’d start thinking about my keyword strategy in a more product focused way so I could begin promoting products on Amazon. For instance, posts about the best furniture for tiny houses, layouts for small spaces, how to build tiny houses, and even living with a cat in a tiny house are ripe for promoting products. Remember to think like your audience and when the opportunity presents itself, simply mention products that might make their life easier. It’s a fantastic way to “sell” without really coming across like you are tying to sell a product. Overall, I hope this exercise was helpful to those who are still struggling with niche site ideas. Honestly, even if you pick a niche and it never gets any traction – what did it really cost you? A little bit of money and some lost time. So my suggestion would be if you are sitting on the fence, get out there and try it. “Fail forward” as they say, and you’ll get better as you go. Start broad with your “umbrella” (niche) and you can always get more narrow with time. Find 20+ low competition keywords to validate your niche and make sure your umbrella is big enough. Plan your content and start creating it. Here are some content ideas to get you started. Don’t worry about failing – trust your research and your gut and get started! Check out Long Tail Pro today with a FREE 7 day trial. Just a quick question. You state you would create a blog posting “5 Tips For Surviving in a Tiny House with Cats” but how could you do this (I am assuming you neither live in a tiny house or have cats)? I guess my question is that it seems kind of a specific topic to be writing about without some kind of first hand knowledge to create good content. You’re right that experience helps, but I’ve written plenty of articles on topics where I don’t have first-hand experience. What I normally do is research the question online as if I am the person who has that problem, and learn everything that I can so I can get an idea of what I’m going to write. Then, assuming most or all of my 5 tips are things suggested by other people, I simply give credit and a link back to that person when I mention their idea. So it might be “#1 – Get A Tiny Litter Box” and then I start by saying “Bill from catlovers.org realized that moving a cat into his small house was harder than anticipated. According to Bill, QUOTE FROM HIS BLOG POST. So in a way I do the research, then I report back what I’ve learned and cite all my sources. As a bonus, I’d reach out to Bill afterward and thank him for the advice and let him know that I shared his tip in my article. Bill might just share my post with his readers. Similar Question I had in my mind but you have explained it really well. Isn’t the search volume for those low competitive keywords way too low in your experience? Like 10-100 monthly searches will that make sense? I used to think that way, but not any more. If the other signals are right and the keyword makes sense for my topic, I go after it. The reason I’ve changed my opinion is because typically there are a number of very similar keywords also getting 10, 50, 70 searches per month and you’ll often rank for all of them. 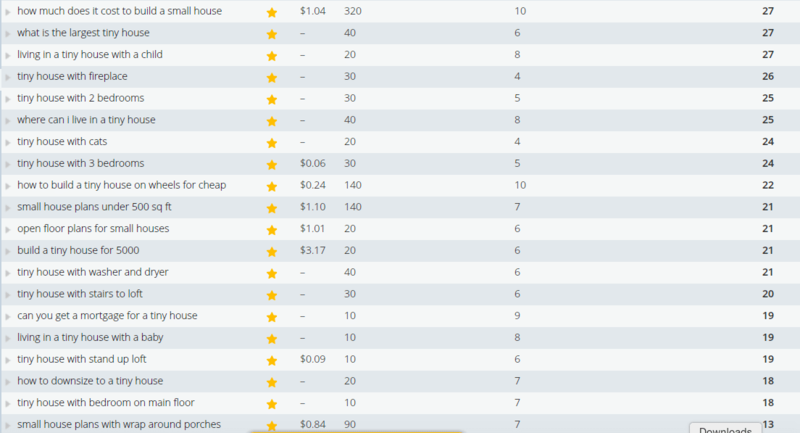 For example, “where can I live in a tiny house” is a keyword in my list with 40 searches. People will likely search all kinds of variations like “where can I put my tiny house?” “where can I build a tiny house” “places to put a tiny house” “find a place for a tiny house” etc. So I set my sites on the best variation of that keyword I can find and expect that I’ll end up ranking for things I don’t even know about yet. Well one thing that still bugs me – how many keywords are required for a “SINGLE POST”. Although your article cleared 90% of my doubts but that one thing pulls me backwards. 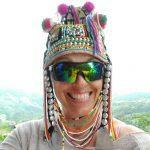 Also, you mentioned after writing article about a particular niche topic you try to contact related bloggers. May I ask you how do you find Quality Blogs that will provide backlinks to our site. However, I still make most of my content keyword-focused like we talked about in this article. In that case, you really only need one keyword for a single post. It’s possible to target multiple keywords in a single post if you’d like, perhaps making big list with other keyword targets as subheaders in the list, but you don’t have to do that. As for backlinks, I try to make sure that the site I reference or link to in my post is legit, and relevant. I’m not really concerned about a high domain authority, so I would link to some small local dentistry business if it was legit and I was quoting them in some article about dental care because it’s very relevant. So by not linking to crappy/spammy sites in my article, I know that I’m not doing outreach to crappy/spammy sites afterward. Thanks Jake for the insight. Indeed finding a “good niche” is what I’m struggling with. I understand that I should not care about the Umbrella keyword competitiveness. Only high search volume matters. But then search volume for Longtail keywords doesn’t matter anymore, only keyword competitiveness. Yes, that pretty much sums up how we attack things now. It’s still ideal to have higher search volume – so I’d prefer to target a keyword with a KC of 20 that has 800 searches per month, but if the topic fit in my umbrella, I’d still write the blog post if the search volume was only 80. As you grow and start picking up traffic, you can generally start working your way up to target more competitive search phrases, which tend to have higher search volumes. Just in the beginning, we try to stick to the lowest competition things we can find because it is the easiest to rank for, and you’ll often pick up traffic for other similar keywords that you didn’t even know about (see an example in my earlier comment above). For instance, in the site I have about baseball stadiums, the highest traffic post on my site was targeting a keyword with 10 searches per month. At the time, I really just wrote it because I knew my readers would get real value from it and it would be the best resource available on this topic. Because it was such a long, in-depth post on the topic I ended up ranking for hundreds of keywords with low search volumes and it all added up to thousands of visits per month. Well explained post.I started yesterday with a low competition and high search volume keyword. Can you let me know exactly how many posts are required ? Hi – I don’t have a one-size-fits-all answer for you on that. Personally I like to have at least 20 pages on my site pretty early on so it feels more complete, but that’s not to say it can’t work with less (or more). Lontail Pro is the best tool to improve and increase traffic throw long tail pro. After implementing long tail keywords we’ve gotten some great results for Quran Institute. Also we can increase our customer as well. You are right I have also got so much from Long Tail Pro. Trust me this is an amazing tool for keyword research. Hi, i am trying to buy platinum. I have left a support ticket but no response (2X). when I went to buy it , the message says I’m already using that name. ugh. please help. Am I sill an active client? if so, please help me reset. If not, please give me a clear link to buy with. I will need to use the email adress above still.